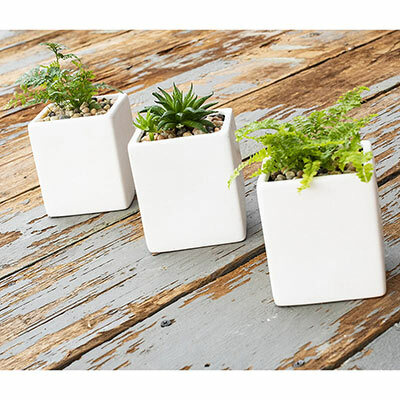 These little wall planters are designed with clean lines, yet the 3-D cube shape is intriguing. They look great in sets of 3 or 6. 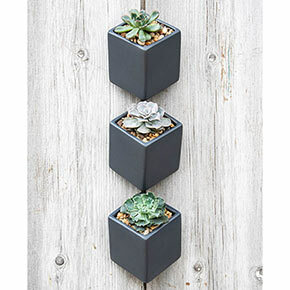 We also think little cascading plants, succulents and air plants look best in them. However, you may find an entirely different way to use them in your decorating, their simplicity and size makes them very versatile. 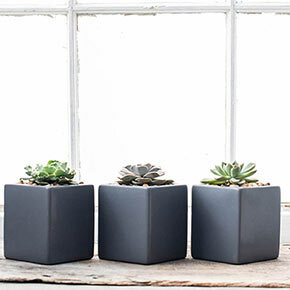 The Hanging Wall Cube comes in dark gray or matte white. 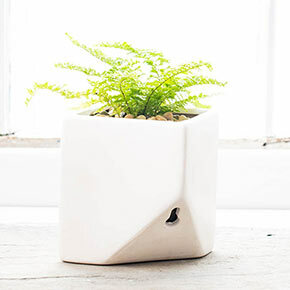 It is made out of high-quality ceramic. We'll also send along all the hardware to mount it to a wall. 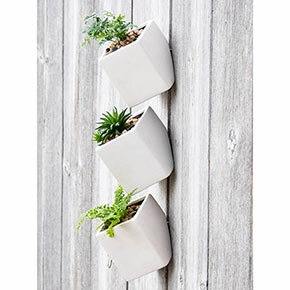 If you're using it as a planter, you'll need to allow for drainage, small pebbles in the bottom will do the trick. H4"xW3.5"xL3.5"